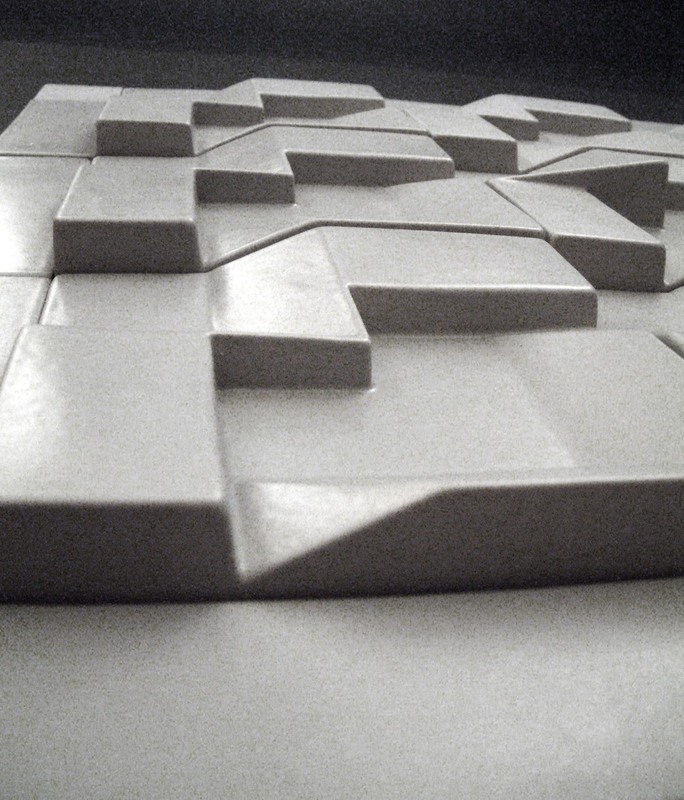 Cladding the surface of heating panels with ceramics simulates the radiative effect of masonry heaters. 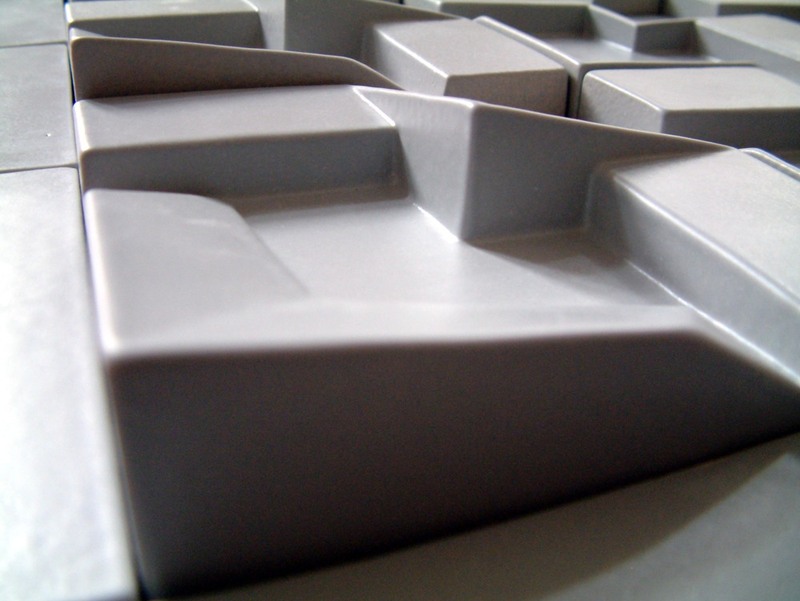 The three-dimensional design of the tiles increases their surface area, for greater heat transfer. The tiles also diffuse sound, improving the acoustics of a space. Radiators are almost always problematic, taking up valuable floor space. Underfloor and wall heating eliminates their unsightly distraction in interior designs, and frees up space to serve other needs. The design of the tiles can be customized to match any interior design scheme. The given design plays with the light conditions of a space. The surface relief creates a variable picture, changing with the movement of the sun or with variations in artificial lighting. The tile cladding can be made of any ceramic material.